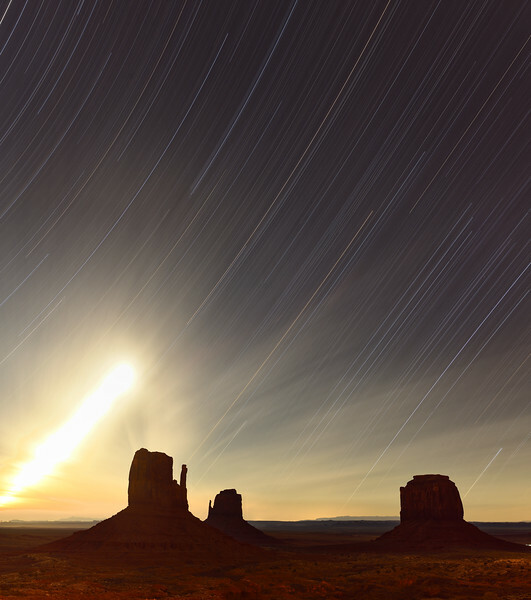 Star trails at Monument Valley with the Nikon D850 and the Nikon 14-24 mm. Exposure was for 2 hours and 45 minutes. The bright light on the left is the moon rising.